All you Hyun Bin fans should be on the lookout. 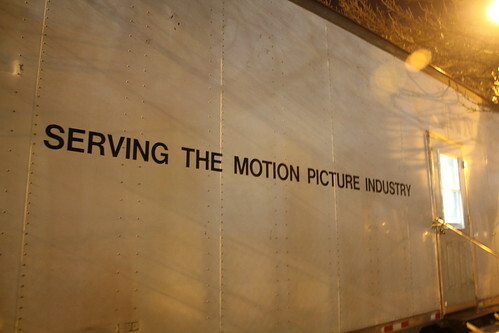 Those big trucks and trailers lined up along Broadway are part of the production crew for the South Korean big budget movie Late Autumn. According to crew hanging around setting up the scenes, the Broadway shoot will be confined to the Bonney Watson funeral home across from Seattle Central and will continue through Wednesday. The crew has also been shooting scenes across Seattle’s neighborhoods including our neighbors in the Central District, Pioneer Square and Queen Anne. Do you have any other pictures of the casts to share? You’ve asked same question on every site in the city. Why wouldn’t they have just posted the pictures if they had them?